With the intersection of Interstate 81 and Interstate 83, as well as the Pennsylvania Turnpike, Harrisburg is one of the Nation’s Busiest Trucking Industry Hubs. 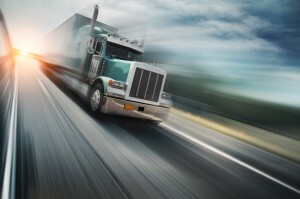 The Central Pennsylvania city is a hot bed for trucking. Not only is Harrisburg a stopping point for truckers traveling up and down the east coast, but the city is also home to numerous trucking companies. In fact, transportation is the second largest industry in Harrisburg, behind healthcare. With so many truckers coming and going in Harrisburg, how do you ensure your companies truck drivers stand out among the crowd? The answer: Uniforms! However, uniforms are expensive and difficult to maintain, right? Well, not if you rent them from a reputable company. First Impressions: In business, image is everything and first impressions are crucial. Did you know it only takes someone 17 seconds to form a first impression about your business? 17 seconds is not a lot of time. So, as you can imagine, what your employees wear has a lot to do about the impressions people form about your business. Cost: Buying uniforms for each and every truck driver can be EXPENSIVE. With rental uniforms, you pay a flat, weekly fee. Laundering: Having uniforms is one thing. Having clean uniforms is another. If you buy your own uniforms, who is responsible for cleaning them? If you rely on your employees to clean their own uniforms, there is no guarantee they will. If you decide to wash the uniforms yourself, you will have to purchase washers and dryers, as well as pay employees to clean those uniforms. Rental uniforms, on the other hand, are picked up from your business to be washed and freshly laundered uniforms are dropped off in their place. Repair/Replacement: When you opt to buy your own uniforms, you have to pay for each and every repair. And when the uniform has reached the end of its life, you have to pay to replace it. When you rent uniforms, repair or replace of any uniform is done free of charge as long as the damage is the result of normal wear and tear. Convenience & Flexibility: When you decide to go with rental uniforms, you decide to go with convenience. Your uniform rental company will handle everything, from pickup and delivery to cleaning. And if there is a change in your workforce, you can make adjustments to your rental service as needed. It couldn’t be any easier! Lord Baltimore Uniform has been providing outstanding uniform rental service throughout Maryland, Washington DC, northern Virginia, Delaware, and Southern Pennsylvania for over 30 years. Over this time, we have thrived because of our responsive, attentive, professional customer service. This entry was posted on Wednesday, May 1st, 2013	at 6:24 pm	. You can follow any responses to this entry through the RSS 2.0	feed. Both comments and pings are currently closed.